If you are feeling stuck...knowing something is missing in your life but not sure what it is, you are right to sit tight. 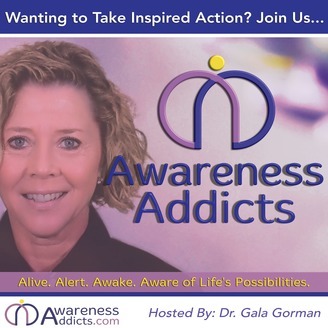 Rather than making a change just to relieve the tension, you are better served by developing awareness...so that the action you take is inspired. This sort of inspiration comes from your own divine guidance...or your spiritual connection. It is Sage Advice for inspired action. Awareness is the key. With this key, it is easier to navigate in the human world with all of its detours. 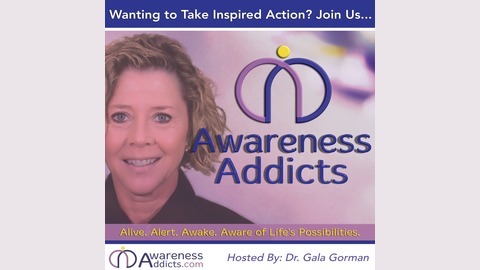 Here, we are getting to know ourselves intimately as we become Awareness Addicts...alive, alert. awake and aware of life is possibilities. As I’ve challenged you to make some changes in your life, you may have found yourself asking, “How am I going to fit that in?” You’re already juggling too many balls. Something will have to go … but what? We have to choose our battles. Where will we reap the most benefit from applying our resources? There is a key that we can use to help us sort this out. We’re going to apply the Pareto principle as we consider the changes we want to make. We need to identify the actions to take so that we can re-prioritize our life for big results. 02:12 This article from Fast Company talks about the 80-20 Rule. It says to go beyond the 80-20 rule and talking about time management. 07:17 As I’ve challenged you to make some changes in your life, you may have found yourself asking, “How am I going to fit that in?” You’re already juggling too many balls. 07:52 I want to start by helping you understand this 80-20 principle. As I’ve mentioned earlier, my husband is a mental health counselor. 14:54 It is a bit of a conundrum. We can’t just ignore the 80 percent. In fact, as you can see how I demonstrated this, the 80 percent has to be addressed. 17:35 In Episode 16, I talked about Divine Decongestion. Something may have to go to make room in your life for a new and improved experience. 18:25 I'm wondering whether my boyfriend really cares about me. Even when I am crying, he is emotionless. And, when I mirror his behavior back to him, he tells me that I’m not being nice.